Vending machines offer employers and business owners the flexibility to offer on-site beverages, snacks and food without adding extra labor or maintenance. DC Vending & Distributing offers a variety of beverage, food, candy & snack, and automated coffee machines. We can offer a full line of products and brands. Our beverage line includes a wide variety of beverages from Coca-Cola to Milk. Our snack machines hold a variety of options such as candy, chips, health bars, nuts, jerky, gum, mints, pastries etc. DC Vending & Distributing stocks a large variety of healthy choices. From fresh foods, to quick snacks on the go. As a part of our full service vending company, we provide a coffee/beverage delivery service to corporate offices and schools. 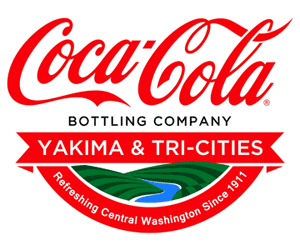 We sell a variety of Coca-Cola beverages, coffee and snacks. In addition, we will provide the necessary equipment, such as coffee pots and coolers, to fully outfit an employee break room or nourishment station. DC Vending & Distributing services and maintains all vending equipment. Need service?